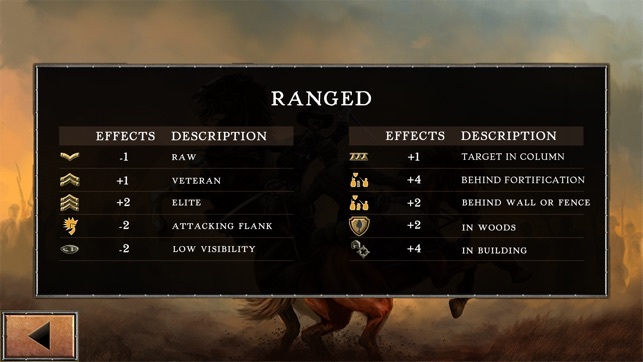 New features for version 2.0 include iCloud save support, combat analysis, strategic movement, map zoom and combat improvements. ● 8 Mission 'First Strike' Campaign. ● 5 Mission 'To Arms!' Campaign. ● 6 Mission 'Stalemate' Campaign. ● 8 Mission 'Hoorah!' Campaign. 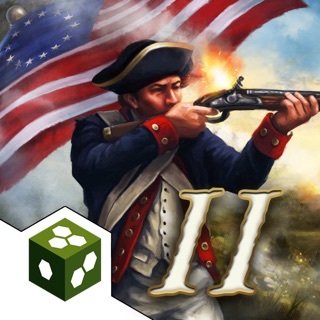 ● Includes battles based on historic events. 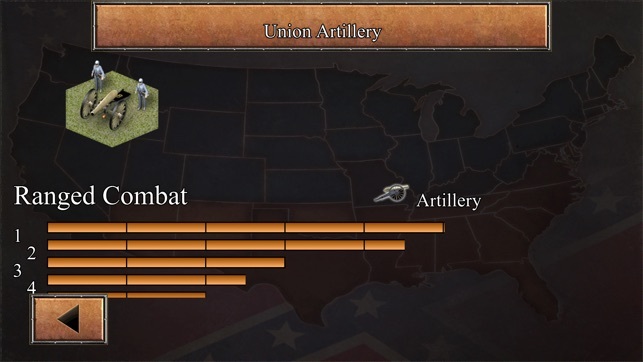 ● Play the missions as either Union or Confederate. ● iCloud Saves (also compatible with the OSX version of the game). ● High Definition graphics (including retina for the new iPad). ● 5 Pass & Play two player scenarios. 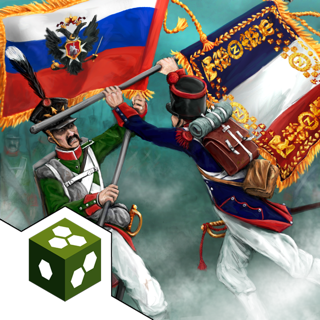 ● 8 Mission 'Rebel Yell' Campaign + 5 bonus multiplayer missions. 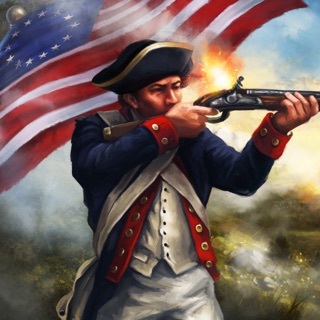 ● 8 Mission 'Victory Road' Campaign + 5 bonus multiplayer missions. ● 8 Mission 'Last Stand' Campaign. ● 8 Mission 'Grand Command' Campaign. ● 8 Mission 'Leviathan' Campaign. ● 8 Mission 'Arsenal' Campaign. Fix: An issue were some scenarios would have the wrong side selected. 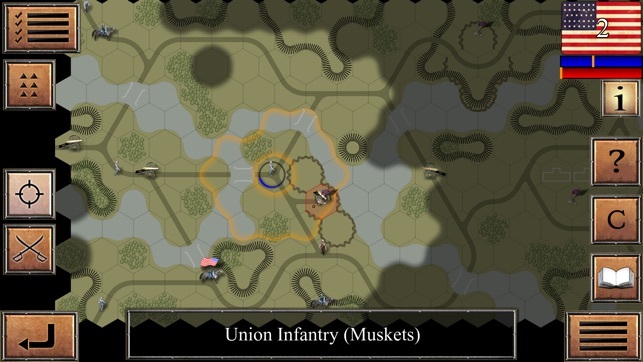 Really enjoy the Hunted Cow Civil War games, they remind me of the old school hex style war games but with app like gameplay. 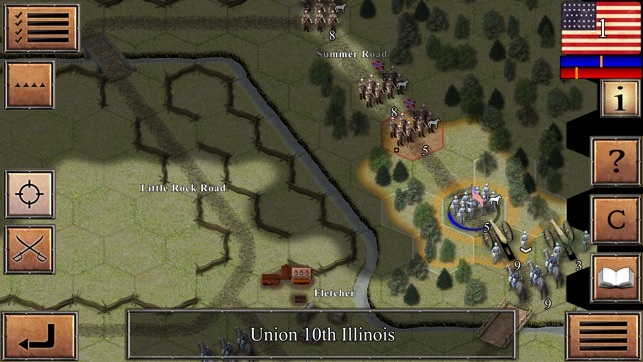 Wish there was a little more topographic variety based on actual battle fields and the graphics took a dip in 1863. But for moving and engaging on a tactical level, very fun and you learn (or you lose). When these were released, they were fantastic, well balanced games. With each successive update, however, they have rendered them unplayable! Buttons to change formation don’t appear, play balance is out of whack and I am constantly being nagged to restore games I’ve already purchased. Really disappointed with what they’ve down to their franchise. Could have been better. 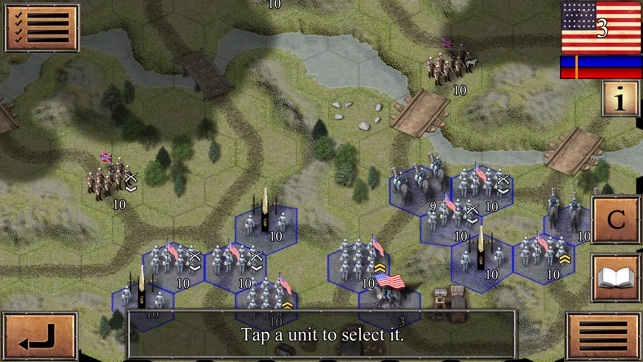 Did not like having to constantly change the infantry into a formation, wasting a turn; and a lot of missed opportunities to engage the enemy because of a specific unit not being able to move. But I do enjoy this game a lot.